Google has made this process easy for you. The gadget allows you to pre-fill the "To" field with one or multiple addresses. Customers are then able to print their directions with a single click. And if they would prefer not to drive, the gadget also provides walking and public transit directions. Second, if someone entered a vague starting address, they would have the option to specify a more exact address, which will then fly into the "From" field. 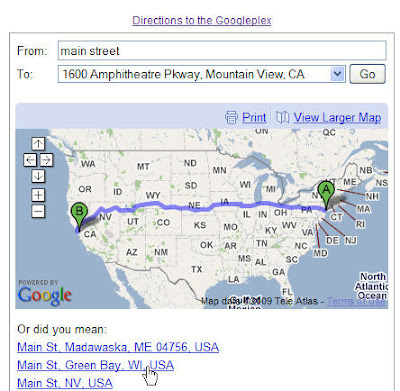 Last week, I looked up directions to the hotel in Sacramento that I had booked for the 4th of July weekend. As I had never been to that part of the state before, I was puzzled by the directions offered by their website - I wasn't whether I was approaching from the North, South, East or West or where the major highways were. 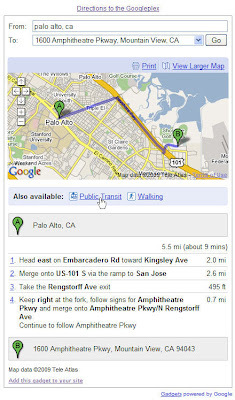 What I needed were step-by-step directions from my exact starting point to the hotel that I could easily print and go.